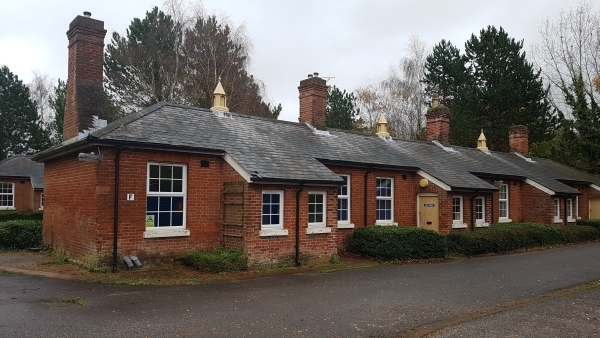 Eastleigh Borough Council: Darryl Howells has successfully received planning permission for the conversion of ancillary police training buildings (use class C2) to provide 30 two-bedroom dwellings (use class C3) with associated elevational alterations, amenity areas and car parking. 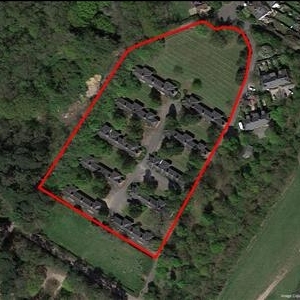 The application site comprises of ten single storey buildings of a simple form and uniform design which are set within five consistently spaced rows on a parcel of land within the grounds of the Grade II Listed Royal Victoria Country Park. These buildings, known as the Osborne Quarters, date from the mid-19th century, the same time as the Royal Victoria Hospital, and were originally built as married men’s quarters. The client engaged the services of various consultants and Andrew Mooney Architectural Services to prepare the documentation that supported the planning application and dealt with the various considerations that Darryl highlighted initially to the client would need to be addressed. The planning application and all of the consultants were managed by Darryl and the client collectively to ensure that the evidence base supporting the application was strong from the outset and resolved the numerous concerns highlighted by the Senior Planning Officer and Planning Committee. The planning application was prepared, submitted and handled solely by Darryl and given the complexity of the schemes, the negotiations were extensive and time consuming. The result of those discussions was the planning officer’s support and recommendation to approve to the Planning Committee. Following Darryl’s deputation to the Committee, Members unanimously supported the scheme commenting that the proposed development was creative and makes an efficient and appropriate use of these heritage buildings and which will allow for their retention and continued maintenance in an active use, whilst at the same time respecting the historic character of both the buildings themselves as well as their setting within Royal Victoria Country Park. If you have a site or buildings which are seen in a heritage context, ad you want to convert them to residential use, then please contact Pure Town Planning to advise to the likelihood and strategy necessary to secure that outcome.